Who needs E3 anyway? Certainly not Paradox, which is currently in Stockholm hosting its first-ever PDXCon—or at least the first ever open to the public. For the next few days fans will have the opportunity to go hands-on with many of Paradox’s upcoming games. But before that, well, it’d help to know what’s on-hand to be played. 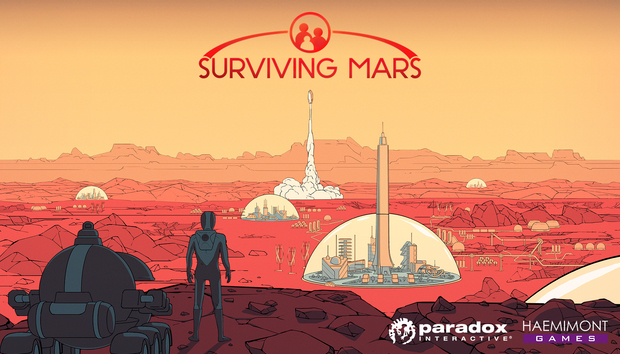 Paradox held a press conference Friday to show off some games we already knew about (Cities: Skylines, more Europa Universalis) and revealed some new ones for good measure—like a space game from the Tropico developers. I was first tempted to compare it to RimWorld, but judging by screenshots Surviving Mars is apparently more of a traditional city-builder than a Prison Architect-style building-builder type of game. Still focused on colonization, but more on the logistics of survival than the human side of the endeavor. So...like, Tropico in space. I’m looking forward to seeing what the team can do, set free from retreading Tropico again, and we’ll have more in-depth impressions sometime next week. How that differs from a standard EUIV expansion I’m not sure, but there should be more information soon—the expansion is playable over the weekend. This is not a new game, though it’s new to Paradox. Harebrained Schemes did a Kickstarter for BattleTech back in 2015, trying to bring the turn-based mech combat of the tabletop game to a video game. Apparently Paradox is now publishing BattleTech, once again fulfilling the role of “Stepping in to help push Kickstarter games over the finish line.” See also: Pillars of Eternity.